Through study and mastery of current and emerging knowledge, skill and practice, Western Michigan University's Bronson School of Nursing students are positioned to be highly effective and competitive in the nursing field. Inter-professional activities with other College of Health and Human Services disciplines are available and encouraged, and the facilities include state-of-the-art classrooms and labs. Both the undergraduate and graduate degrees offered are fully accredited by the Commission on Collegiate Nursing Education, and the school is one of only a few to receive endorsement from the American Holistic Nursing Certification Corporation. Through participation in the Upsilon Epsilon Chapter of the Sigma Theta Tau International Honor Society of Nursing, students experience leadership and scholarship in practice, education and research to enhance the health of all people. A fund has been established to support the Empowering Nursing Students for Success project, which targets students from underrepresented groups and from educationally and financially disadvantaged populations, pairing them with faculty mentors and student navigators to help shepherd them through the Bronson School of Nursing program. Also, check out Dr. Mary Stark and student Austin Seavolt from the WMU Bronson School of Nursing as they discuss the Empower Success program on the Raise the W podcast with Tim Terrentine, VP of development and alumni relations. 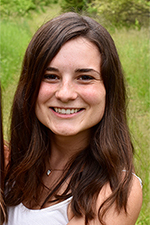 Megan Berichon, a senior Bronson School of Nursing student who recently was awarded an Undergraduate Research and Creative Scholarship Excellence Award from the WMU Office of the Vice President of Research. Originally from Brooklyn, Michigan, Megan a navigator in the Empower Success program. Under the guidance of Dr. Mary Ann Stark and Taylor Birgy, she is creating a study for her Lee Honors College Thesis. Her research will examine resilience, self-esteem, sense of belonging and perceived stress in students who are part of the Empower Success program. Western Michigan University Bronson School of Nursing invites applications and nominations for faculty positions. A list of open faculty positions are listed here!